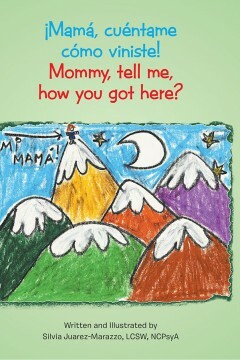 Mommy, tell me, how you got here? With humble crayon drawings and the innocence of children’s curiosity, “¡Mamá, cuéntame como viniste!” tells the life transforming saga of the immigrant mother going through the unthinkable to bring to her children possibility and safety. Although this book was born in the work with Latino American mothers, its loving and powerful message gives voice to the immigrant mothers of our global community. This book is profound and it is transforming for children and adults as it allows in a gentle and sensitive way to talk about both the hope and the massive losses inherent to the journey of all of us, immigrants. 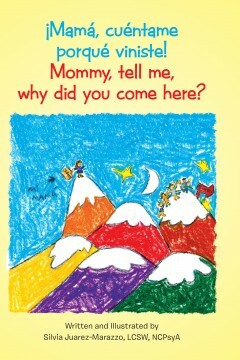 Mommy, tell me, why did you come here? Oliver struggles to fit in because of the way he looks and begins to question why he is different. 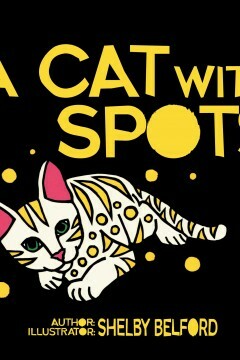 He is teased and bullied by his friends and siblings because of his unique spots. Eventually he visits Theodore at the Kuddly Kitten Klinic who painted his coat and learns the secret of his spots, and finally accepts himself. 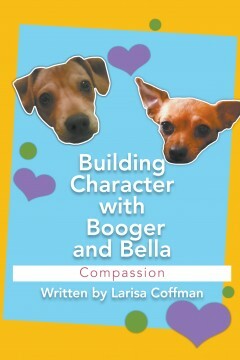 SHELBY BELFORD loves that through her books she has the opportunity to encourage children in the fight against bullying through her love for animals. 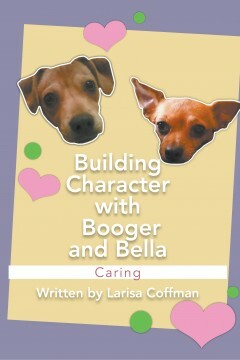 She is delighted with the liberty to influence the upcoming generation of children by writing encouraging stories from her childhood about the furry friends in her life. What began as a senior project in high school has now blossomed into her becoming a published children’s author and advocate for many accredited non-profit organizations through her movement, Shelby Belford Books. You can find out more about Shelby and her vision for bringing awareness to non-profit organizations at www.shelbybelford.com. Shirley Jordan is the youngest of seven children. She is a mother of four, three boys and one girl; and a grandmother to five. She was born and raised in Houston, Texas and always puts her family first. Shirley is truly an entrepreneur, owning and operating a haircutting salon for children to close to ten years. She absolutely adores children. 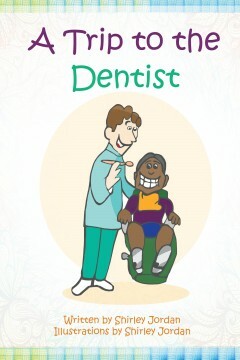 Shirley loves writing children’s books because, she says, “Children don’t judge whether or not the pictures are good.” Shirley has no enemies and everyone falls in love with her smile. Her smile reflects her true heart and natural beauty. She loves to make people laugh, believing that laughter is good for the heart and it helps to release stress. WHOO-WHOO-WHOOO! Who are you? Well to answer that Hooting question let’s find out Who’s-Who, and what a “Whoo-Whoo” can do. So as the zoo animals leave their comfy cages two by two to help the misplaced babies, let’s review and see if the Hooting-Whoo’s will ever make it safely back to their rooms. 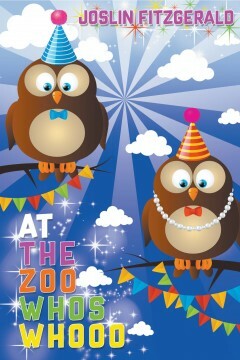 Therefore as two Unborn-Whoo’s unexpectedly open their eyes and find their parents missing, Come see what new mighty surprise happens to Lucy-and-Luke-Whoo, when they find out, Who’s-Who at the zoo! And closing their door not knowing what they did that for, that’s an important discovery to make too. Because being clueless wondering Who’s-Who, as two cute loose Whoos’ break-away they will need to find out if they are a monkey-elephant-bear-tiger-giraffe-wolf-goose-or-camel today! Sadly in that plan without their parents there to tell them Who’s-Who, not knowing who they are, Lucy-and-Luke-Whoo will have no way to know, why they …. hoot! So come help the Birthday-Kids figure things out. And as we learn everybody needs a pal, in that new clue, let’s discover if Lucy-and-Luke-Whoo find out what they’re doing. Yes indeed let’s see if the Whoo’s get back home. Or misplaced at Zoo-World will they always be two confused Whoo-Whooo’s, lost and alone? Mary Fitzgerald Joslin is a housewife, novelist, and children’s writer. 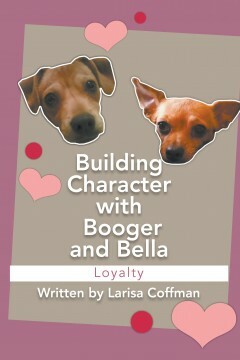 Please visit www.joslinf.com for new book releases. But now, let’s follow the Trail-of-Tails. And as we find out what happens when a-lot of cool animals escape, let’s see if two cute Hooting-Whoo-Whoo babies find out Who’s Who at the zoo today! 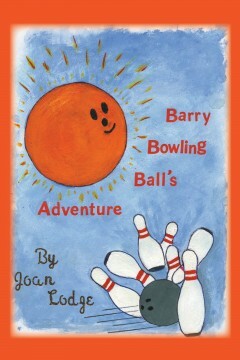 Barry Bowling Ball, is the main character, he is an orange bowling ball. It’s a story about a small town bowling alley. Owned by a Mr. Gordon. This is Barry’s home. He is a sad bowling ball. His quest is to be the best that he can be and overcome his fears, which he does. Born in Massachusetts and have lived there all my life. I have had many life experiences to write about. I have 8 grandchildren and 4 great-grandchildren, all of who also give me inspiration for my stories. I love my family, children, animals and traveling. SHIRLEY JORDAN is the youngest of seven children. She is a mother of four, three boys and one girl and a grandmother to five. She was born and raised in Houston, Texas and always puts her family first. Shirley is truly an entrepreneur, owning and operating a haircutting salon for children for ten years. She absolutely adores children. 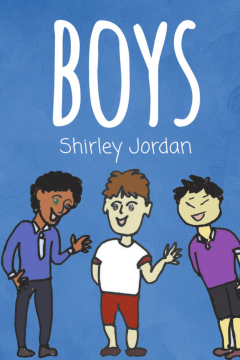 Shirley loves writing children‛s books because she says, “Children don‛t judge whether or not the pictures are perfect.” Shirley has no enemies and everyone falls in love with her smile. Her smile reflects her true heart and natural beauty. She loves to make people laugh, believing that laughter is good for the heart and it helps to release stress.